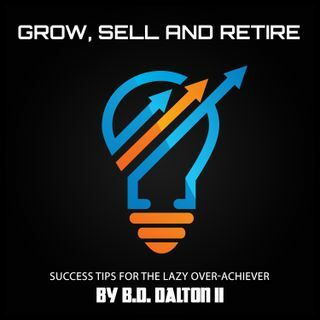 Business and Life Success tips for LAZY over-achiever. This podcast gives you the tips it took me 20 years to get right! Your business can be a lonely place, but hugely rewarding! In Grow, Sell and Retire, my goal is for you to have the tools available to make things happen in your business to create real change. Your business has two rockets and this is the ROCKET FUEL to bring you one step closer to feeling wealthy. This is the way you will increase revenue.